Hank can't work out where all his customers have gone. 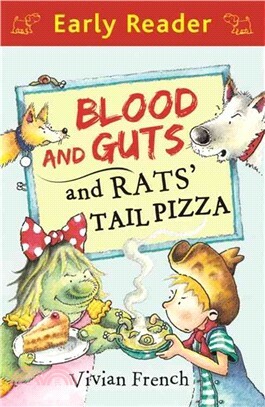 They usually wait in line for miles for a taste of his rats' tail pizza and special guts pie with blood sauce. And when he finds them all at a newly opened cake shop, sitting at tables and sipping tea, he can't believe it. He's got to find a way to win his customers back—but how? Vivian French is the author of more than 100 children's books, including the Tiara Club series.